Recognising the critical issues facing our oceans, the United Nations put in place the Sustainable Development Goals (SDGs) as a universal call to action to end poverty, protect the planet and ensure that all people enjoy peace and prosperity. 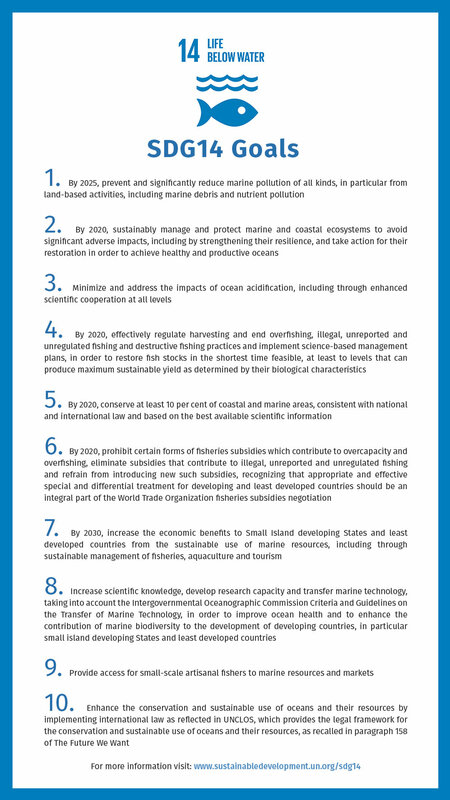 SDG #14 is an urgent call for action, action for a sustainable future for our oceans and therefore our planet. Why is SDG14 so important? We are dependent on ocean health for our very survival. The temperature, chemistry, currents and life of the world’s oceans drive our planet’s global systems. The very systems that make the Earth habitable for humankind. How we sustainably manage our most vital resource is essential for humanity as a whole. How does BLUE align with SDG14? We started making BLUE in 2015 when WWF had just released its Living Blue Planet Report stating half of all marine life has been lost in the last 40 years, and that by 2050 there would be more plastic in the sea than fish. The same year (2015) countries around the planet adopted the 2030 Agenda for Sustainable Development and the 17 Sustainable Development Goals (SDGs). BLUE tells the story our generation needs to hear. The film’s themes directly align with SDG14 including: preventing and significantly reducing marine pollution; minimising and addressing the impacts of ocean acidification; ending unsustainable and illegal fishing practices; and setting aside and conserving more coastal and marine protected areas. BLUE’s overarching themes are to sustainably manage and protect our most precious resource now and as a legacy for future generations to come. The most important function of the SDGs is they provide a road map of what needs to be done and why. They provide a set of goals that can be applied to individuals, communities and organisations. They provide a way to evaluate what we are doing towards a sustainable future. Our future. It’s important to note that some of the goals are actually set pretty low as they are global goals, taking into account small island nations, developing and developed countries. It’s a framework of guidelines that can be adapted to your community, your country, your region. Not all goals may apply but the important thing is to note that a line has been drawn in the sand. Think how your local community, local council, workplace, school, business, can put actions in place to align with SDG14. The ocean covers three-quarters of the earth’s surface and represents 99% of the living space on the planet by volume. The ocean contains nearly 200,000 identified species but actual numbers may lie in the millions. The ocean absorbs approx. 30% of carbon dioxide produced by humans, shielding us from the impacts of global warming. We are seeing a 26% rise in ocean acidification since the beginning of the industrial revolution. 80% of marine litter is from land-based sources. 8 million tonnes of plastic enter the ocean every year and never truly goes away. This is the equivalent of a dump truck of plastic being emptied into the ocean every minute. Over 3 billion people depend on marine eco-systems for their livelihoods and as their main source of food. At the same time 30% of the world’s fish stocks are overexploited and are now below the level at which they can reproduce at sustainable levels. Globally the market value of marine and coastal resources and industries is estimated at US$3 trillion per year, which is approx. 5% of global GDP.